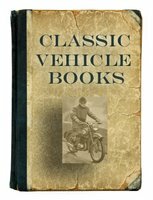 Greeves motorcycle books include the rare Mick Walker book on Greeves motorcycles and several Geeves manuals. Greeves Motorcycles Ltd is a British motorcycle manufacturer producing motorcycles mainly for the trials and off-road market. The original company had been producing motorcycles since 1952. Greeves: All Off-Road, Road And Road-Racing Motorcycles by Rob Carrick & Mick Walker (1988) is very rare as only a small number were published. Loads of information on the various Greeves models produced and on everything associated with the great company. Lots of pictures and stats on engines, frame numbers etc.